In the writing life, one must learn patience: patience with oneself, with others, with the words. No one said it would be easy. It’s a brand spanking new year–greetings, gentle readers–and we must give procrastination a swift uppercut. Okay, maybe a gentle nudge. Yeah, that’ll show ’em. It’s important to map out how to effectively proceed on our journey. So much accomplished in 2013 with so much more to do in 2014. Let’s make it happen! Today, I declare my goals for the year. I’ll also hone in on what I want to tackle for the month of January. Something important I learned last year was not to ignore big dreams. In fact, the bigger the better. However, as we are but mere mortals, it’s also essential to plan out realistic and attainable goals in order to make those dreams a reality. So much more can be accomplished and it’s way more fun to see that list full of checkmarks. Instant motivation. 1) FOCUS ON THREE REVISION PROJECTS. Polish until blinding. Send out for beta reads and critiques. Polish some more. Shop around to agents and editors. Launch career of amazingness. 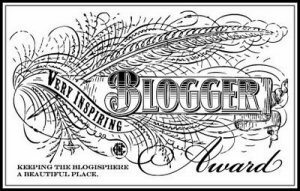 2) BLOG FORTH AND MULTIPLY. Word is the word and this blog is helping me do it. I’ll continue with my posts, plan more FRIDAY FORAGE Series posts, and prep for my March Madness check-in posts. 3) DEAR DIARY. I’d like to maintain a proper journal for each project I’m working on. With a daily account of achievements and frustrations, I’ll be able to keep track of my progress as well as churn out a creative flow of consciousness. Anything from progress reports, brainstorms, dialogue snippets, to venting because something isn’t working right are all fair game. I have an App for that. Actually, I have three, and I’ll keep projects separated per app. READ. It goes without saying. I will continue my whittling down of the TBR list. I’ll keep in mind the 2-1 ratio of indies to commercial (or more known) books. MINGLE. If finances weren’t an issue, I’d join as many writing organizations as possible. At the moment, I’m a member of the Society of Children’s Book Writers & Illustrators, Canadian Society of Children’s Authors, Illustrators & Performers, the Canadian Authors Association, SavvyAuthors, and Women’s Fiction Writers Association. There are at least a few more I’d like to join, but I should like to build my street cred more prior to spreading my networking wings any further. Until then, I’ve got the tweets, the likes, the pins, and all that other good stuff to keep the conversation going with the global writing community. As for learning, that truly never stops and I shall continue with the languages and the uke and the knitting and the partridge in a pear tree. I’m even going so far as to enrolling in some in-person classes again, be it for my own edification or for better opportunities on the job hunt. As each new twist and turn unfolds, I’ll be sure to keep you posted. The WFWA has a Write-A-Thin program this month. Inspired by NaNoWriMo, it aims to help writers achieve a particular writing goal during January with constant check-ins, pep talks, and support. This month, I’m revising my thriller Greatest Hits and trimming the fat by killing two projects with one stone. Despite what I said above, this technically isn’t a writing project. I intend on tightening up the writing by converting the story into a screenplay. It will force me to get the essence of the story on the page without the extra frills. The bonus is I’d planned on adapting it as a screenplay anyway. So, I think this will be a good project. We’re supposed to focus on a single goal for the Write-A-Thin. However, my brain never quite works that way, so other projects (outside of this program) include the continuation of revisions for Aaralyn’s Song. I also have my alternate history thriller screenplay that I’d been wanting to rewrite in novel form. But that will be third on my list of priorities. I think those three projects are plenty, but I’ll always keep notepads handy for jotting down new ideas to save for later. I’m wrapping up my NetGalley read and will *hopefully* post my review on the next FRIDAY FORAGE post. I need to decide between three titles that I’ll read next because I’ll announce that book on Friday’s post, as well. I’ll be popping on the WFWA forums for the Write-A-Thin. 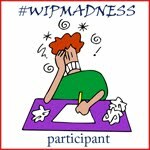 There are also my lovely peeps with #wipmadness and #ROW80, the latter of which are starting up again next week for the first round of 2014. I see word sprints in my future, as well. While I might not start new projects this year, I’ll definitely take advantage of the WriMos for all my manuscript polishing needs. Thank goodness for NaNo Rebels! As far as late registrations go–as the official decision to pursue this avenue of learning came to pass during the Christmas holidays–it’s too early for me to say what courses I’ll be able to enroll in, if at all. So, these are goals I have in mind. Nothing is set in stone, as 2013 showed me on many occasions. I expect the path ahead to have its challenges. As with life, I’m just going to take it one step at a time, as long as I keep moving forward. Happy New Year, everyone. Make 2014 awesome! This entry was posted in Writing/Reading Challenges and tagged goals, learning, networking, reading, writing. Bookmark the permalink.